The Quick House Sale industry has been given the kick start it needs! A new code of practice for property buying companies and the introduction of the National Association of Property Buyers (NAPB) has given the industry the lift it needed. The Property Ombudsman (TPOS) and the larger property buying companies in the industry have worked hard to create the National Association of Property Buyers (NAPB) which launched in 2014. It was made mandatory that members of the NAPB had to also be members of the Property Ombudsman with a view to improving standards in the sell house fast industry. That all NAPB members follow the same code of practice and professional standards and ethics regarding quick house sale instructions. Homeowners have an element of a redress scheme if they aren’t happy regarding their property transaction. Vendors are treated fairly with transparency and with the up-most respect so a factual decision can be made by homeowners when deciding on selling their house fast. The Property Ombudsman was established in 1998 and have built a credible reputation in the property industry. Over the years they have created codes of conduct for Estate Agency, Lettings & Property Management and now they have created a code for Property Buying Companies. Members of the National Association of Property Buyers (NAPB) have been in strong support of the Property Ombudsman’s code for Property Buying Companies as we believe it brings self-regulation and additionally a dispute resolution process which in turn meets a greater service to homeowners. Good Move are one of only 13 companies (at the time of writing this blog) in the UK who are members of the National Association of Property Buyers (NAPB), and we provide a fair and transparent property buying service to homeowners when they need to sell house fast through property buyers. To become one of the few select members of the National Association of Property Buyers (NAPB), Good Move had to demonstrate they are a professional and highly regulated property buying company. Good Move have professional indemnity insurance and have redress schemes through not only the Property Ombudsman but also the RICS (Royal Institution of Chartered Surveyors). Good Move demonstrated to the founding members of the National Association of Property Buyers (NAPB) that we were genuine and professional property buyers who maintain high standards when orchestrating fast house sales for clients. The Office of Fair Trading published a report on the Quick House Sale Industry” which desperately addressed the need for a national trade association for professional property buying companies, and the National Association of Property Buyers (NAPB) have done just that! Subsequently the UK’s largest and best known property buyers joined forces with the Property Ombudsman to create a new code of practice and this has created real optimism in the market for homeowners who need to sell their house quick. Following the Office of Fair Trading’s report on property buying companies, this has helped create the National Association of Property Buyers (NAPB) which forms the core of the largest property buyers in the UK. The National Association of Property Buyers (NAPB) is the only trade association in the “Sell your house fast” sector. Homeowners when considering selling their property quickly should only ever consider selling their properties through a member of the NAPB or of course the RICS (Royal Institution of Chartered Surveyors). Good Move is currently the only member in quick house sale industry who is a member of NAPB and regulated by the RICS. Homeowners are guaranteed to sell house quick when they instruct Good Move as their property buyers. Good Move and the founding members of the NAPB primary focus is to help push excellent standards in the industry so that homeowners have all the factual information they need when considering selling their property fast. It’s these standards and ethics which make members of National Association of Property Buyers (NAPB) stand out from other property buying companies in the industry who aren’t regulated. The Office of Fair Trading (OFT) established back in August 2013 that there was a real requirement for regulated property buyers. The industry was seen as dynamic and innovative and give homeowners the ability to sell house fast, but the report also highlighted its concerns over the sector. The major concern was that there was no regulation in the sector, no code of practice and no trade association to monitor standards and ethics and no promotion of appreciate redress schemes. The OFT’s report fundamentally created the National Association of Property Buyers (NAPB) with the assistance of the founding members. The NAPB gives homeowners assurances of a smooth fast house sale as they are dealing with property buying companies which adhere to professional standards, property law and appropriate redress schemes should things ever go wrong. Quick House Sale completions have started to rise through property buyers in the UK. In 2014 there was estimated to be approximately just over 9,500 completions and with the National Association of Property Buyers (NAPB) in full swing, quick house sale completions are expected to be substantially in excess of 10,000 + completions. At Good Move, we buy any house in the UK and can buy properties quickly and pay for all seller fees. With our NAPB, TPO & RICS regulation status this makes Good Move the most regulated member of the National Association of Property Buyers. The Code of Practice for regulated Property Buying Companies is quite thorough, however Good Move has an additional code of practice and professional ethics & standards to follow due to the fact we are a chartered surveying firm. This gives homeowners across the UK peace of mind with their quick house sale. IS THIS GOOD NEWS FOR THE HOMEOWNER? With the recent changes in the “sell house fast” sector, this means homeowners who instruct house buyers who are members of the TPOS (The Property Ombudsman), this means they need to follow the Code of Practice for Property Buying Companies. The benefit for the homeowner now is that if there are any issues, problems or complaints with their house buyers they now have a redress scheme in the Property Ombudsman. It’s unfortunate however that the vast majority of property buyers in the industry aren’t members of the Property Ombudsman and there are only 13 companies who are currently members of the National Association of Property Buyers (NAPB). It’s imperative for homeowners if they want to sell house fast for cash, that they instruct a company who are members of the Property Ombudsman & the NAPB (and ideally the Royal Institution of Chartered Surveyors). If homeowners want even great protection and guarantees, Good Move are also regulated by the Royal Institution of Chartered Surveyors. If you instruct Good Move as your property buyers and you aren’t happy with the way we handle your sale, there are redress schemes where you can receive up to £25,000 if we haven’t handled the instruction correctly. WHO ARE THE MEMBERS OF THE NATIONAL ASSOCIATION OF PROPERTY BUYERS? 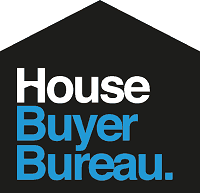 House Buyer Bureau are house buyers who have been buying houses for approx 20 years. They acquire all types of property in the UK and are genuine property buyers. They are one of the founding members of the National Association of Property Buyers and The Property Ombudsman. House Buyer Bureau are a professional property buying company who have an excellent working relationship with Good Move. fast ever since. House Buyer Bureau’s head office is based in Kegworth and the company registration name is HBB Relocation Services Limited. Property Rescue became established in 2005 and are also founding members of the National Association of Property Buyers (NAPB). Property Rescue are professional house buyers, they are also regulated to facilitate sale and rent back schemes . Property Rescue are FCA Regulated, which means they are monitored by the Financial Conduct Authority (FCA) and they are the only company in the National Association of Property Buyers who undertake sale and rent back. Property Rescue’s head office is in London and their company registration name is Property Rescue Limited. House Buy Fast are regulated house buyers, regulated by The Property Ombudsman and founding members of the National Association of Property Buyers (NAPB). House Buy Fast remain one of genuine property buyers in the Quick House Sale industry. House Buy Fast’s company registration name is Future Planned Relocation Services Ltd. Speed Property Buyers started back in 2008 and their head office is located in Worthing. Speed Property Buyers have a “customer first” ethos and are members of the National Association of Property Buyers (NAPB) and also the Property Ombudsman. 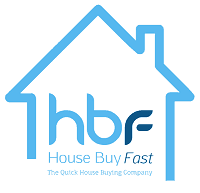 Speed Property Buyers are popular house buyers in the Quick House Sale industry and their trading name is Future Planned Relocation Services Ltd.
National Property Trade is a founding member of the National Association of Property Buyers also and also a member of the Property Ombudsman. National Property Trade’s head office is in East Croydon and are active in the Quick House Sale industry. National Property Trade are recognized as regulated house buyers and are a professional property buying company in the Quick House Sale industry. National Property Trade was established in December 2010 and their registered company is NPT Capital Limited. Excel Property Group opened its doors back in 2013 and are members of the National Association of Property Buyers and The Property Ombudsman. Excel Property Group have been an active property buyer since 2013 and they continue to expand as national property buyers. Excel Property (Cheshire) Limited is the company registration name for Excel Property Group and they are active in the Quick Property Sale sector. Excel Property Group has their head office in Wilmslow in Cheshire. SecureaSale became a regulated property buyer back in 2008 and is a founding member of the National Association of Property Buyers (NAPB) and The Property Ombudsman. Like the rest of the NAPB members, SecureAsale abides to the Code of Practice for Property Buyers. 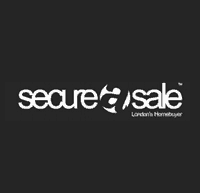 SecureAsale’s head office is based in London and the company registration name is SecureAsale Limited. SecureAsale continue to be active in the industry. Home Bought first became established back in 2007 and they are also founding members of the National Association of Property buyers (NAPB). Homes Bought fast property services are monitored by theProperty Ombudsman. 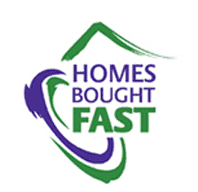 Homes Bought Fast’s head office is based in Warrington, and The Online National Residential Estate Agency Limited is their company registration name. Potrell Property Buyers opened their doors in 2010 and are also members of the NAPB (National Association of Property Buyers). They are house buyers who have their property services monitored and regulated by the Property Ombudsman (TPO) also. Potrell Property Buyers have their head office based in Berkhamsted in Hertfordshire, and Potrell London Limited is their company registration number. Quick Move Now are property buyers which started back in 2001. 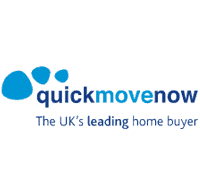 Quick Move Now are one of the founding members of the NAPB (National Association of Property Buyers) and property services are also monitored by the Property Ombudsman. Quick Move Now were one of the original property buyers and their registered company name is QMP Holdings Limited. Quick Move Now’s head office is based in Royal Wootten Bassett in Wiltshire and continue to expand. WHAT NOW FOR THE QUICK HOUSE SALE INDUSTRY? The UK property market has started to see that there are now alternatives to selling your home online with traditional estate agents. Homeowners have found they aren’t prepared to wait for up to 12 months to sell their property (see this video link) and have subsequently turned to house buying companies. With the introduction of the Code for Property Buying Companies and the National Association of Property Buyers (NAPB), the quick house sale sector is entering an exciting future. There is now a code of conduct, ethics and standards to follow and homeowners have the best property buyers at their fingertips if they instruct a buying company from the NAPB. For further information on how to find the right property buyer, please visit www.napb.co.uk. Good Move remain the only chartered surveying firm who are members of the National Association of Property Buyers (NAPB) (and in the quick house sale industry) and this means added regulation, reputation and surety for homeowners when we orchestrate quick house sales. If you require any further information or want to receive a free valuation and no obligation cash offer, click below.